If you’ve managed to hang onto your solar eclipse glasses since August 21st, don’t throw them away! If you haven’t already donated your shades to Astronomers Without Borders, you can use them to stare at the Sun and actually learn something cool. 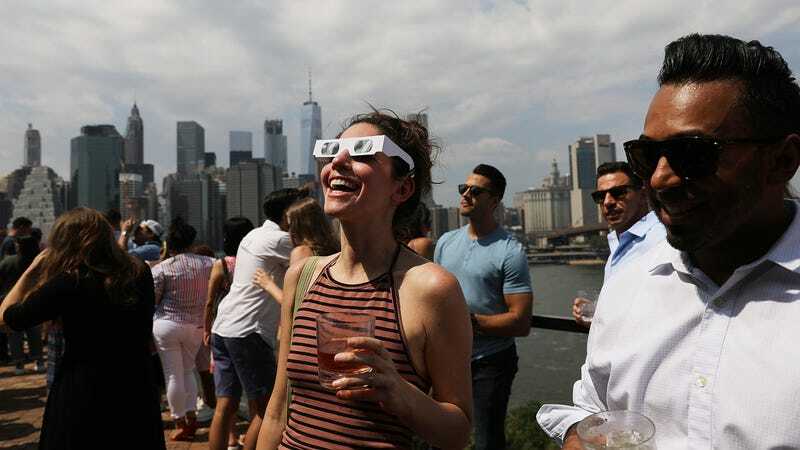 According to NASA, safe solar eclipse glasses can be used to check out sunspots, which are temporarily dark, cooler areas on the sun’s photosphere. That’s not to say these sunspots are “cold”: NASA’s Earth Observatory says that while the Sun’s average surface temperature is 10832 degrees Fahrenheit (6000 degrees Celsius), sunspots are about 1500 degrees Celsius cooler than than other areas. That’s still flamin’ hot. Sunspots move across the surface of the Sun, getting bigger and smaller as they do so. It’s a bit of a crapshoot in terms of where and when a person can see sunspots. 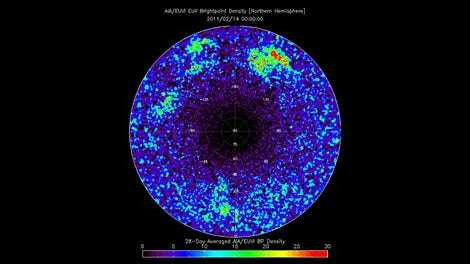 But for the seriously dedicated sunspotters, it’s worth checking out NASA’s Solar Dynamics observatory or NOAA’s Space Weather Prediction Center, which both do an excellent job monitoring sunspots and all kinds of space weather. So if you’ve still got your solar eclipse sunnies, feel free to slap ‘em on and stare into the majesty of our Sun. That’s it, go (safely) enjoy yourselves!